This composition for Piano includes 4 page(s). It is performed by Michael Giacchino. The style of the score is 'Classical'. Catalog SKU number of the notation is 255123. 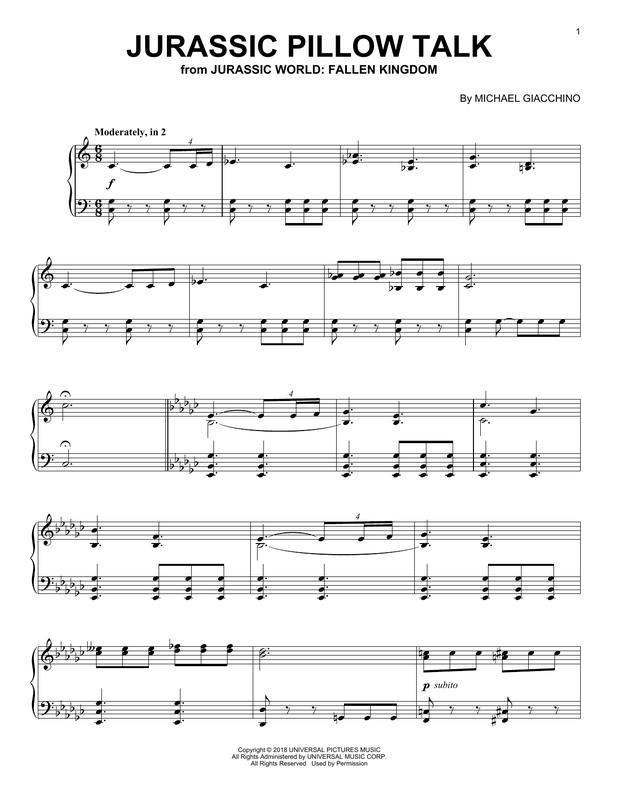 This score was originally published in the key of C. Authors/composers of this song: By MICHAEL GIACCHINO. This score was first released on Thursday 1st January, 1970 and was last updated on Thursday 1st January, 1970. The arrangement code for the composition is . Minimum required purchase quantity for these notes is 1. Please check if transposition is possible before your complete your purchase. 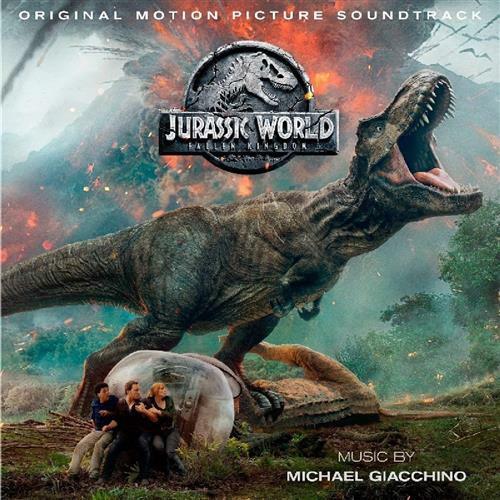 * Where transpose of 'Jurassic Pillow Talk (from Jurassic World: Fallen Kingdom)' available (not all our notes can be transposed) & prior to print.